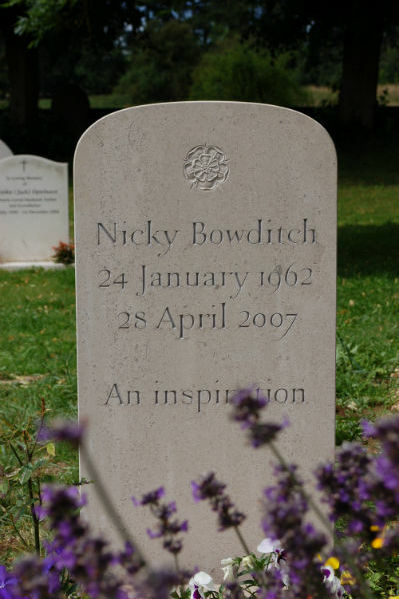 Choosing a headstone inscription & epitaph can be a daunting and stressful process. Here is some advice to help you get started. 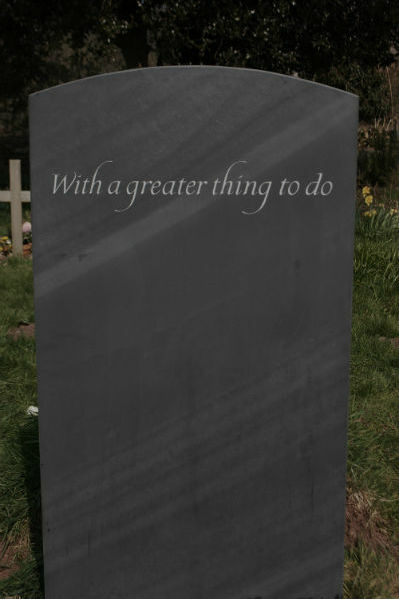 The first thing I often do when you present me with possible wording for a headstone is to cut the amount down. Less is more; one word is stronger than three words. Sometimes the name and years is all that is needed. There is no legal requirement to include the whole name or the dates, and this stone shows how beautiful one name can be. It is not just about the words. 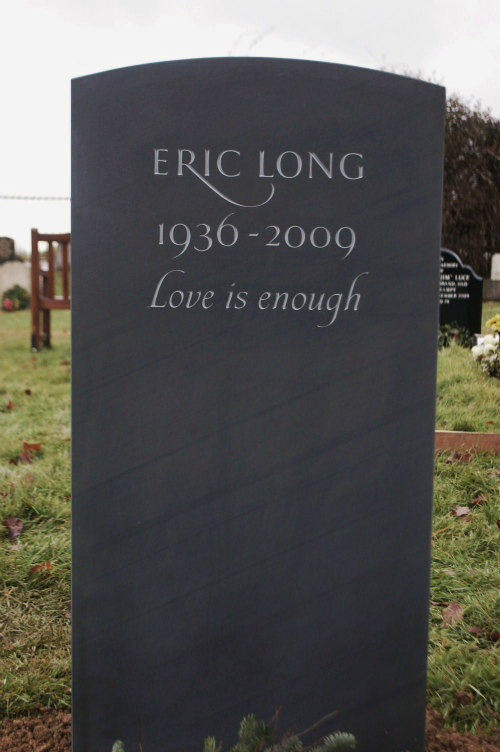 The love expressed by you can be seen in your desire to produce something different to the bog-standard mass produced headstone, made in China. Don't forget other senses like touch. 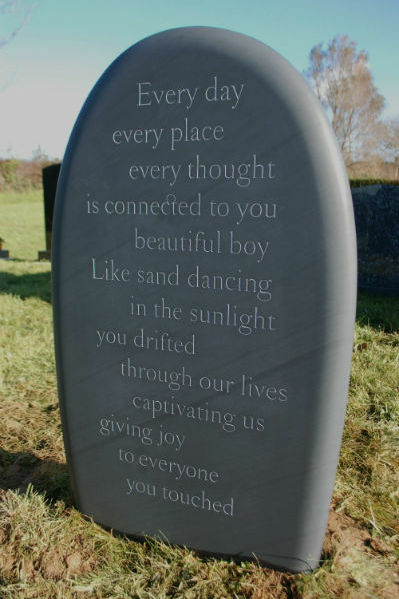 This headstone is beautifully smooth and invites you to touch it, and to feel its warmth. If you have a firm idea of the material you would like to use for the memorial, it will help set the length of the inscription. For example, if Portland is chosen, the inscription would need to be fairly short to allow for big and bold lettering. Lots of small delicate italics on limestone would be difficult to read and would not last very long. Small italics would be far better suited to slate which allows for very fine, delicate carving and therefore a longer inscription. 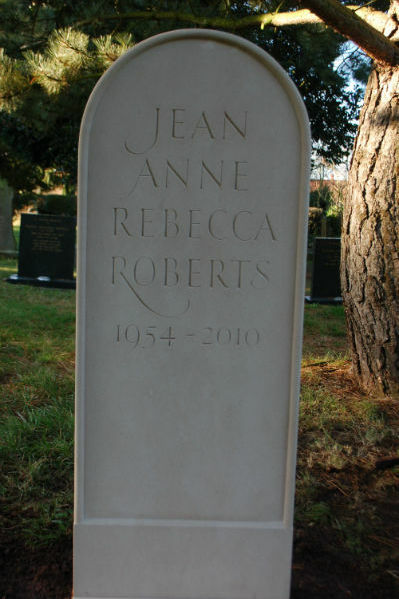 One option is to carve the epitaph along the top and sides of a headstone (this is not an option with slate however), or on the reverse, therefore allowing plenty of room for the names. 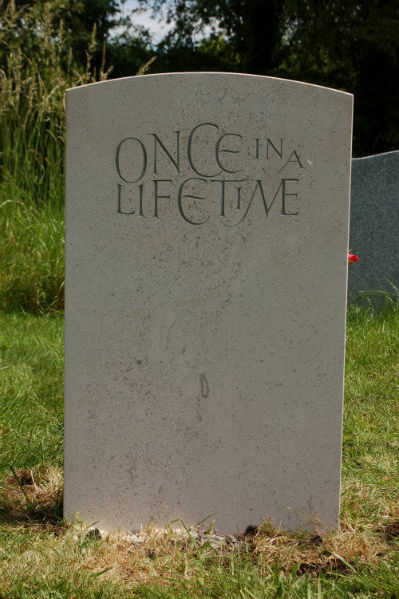 The epitaph may be also be carved around the perimeter of the stone, or in a circle in some cases. The reverse of the headstone below lies up against a wall so that very few people will ever see it. This headstone epitaph reflects the very personal nature of a headstone, often a means of private communication between loved ones. Sometimes clients ask me to carve something that will actually be placed beneath the ground, never to be read by anyone else. When designing a memorial, the best results are achieved by close collaboration. My aim is to translate your ideas onto paper and finally stone. This often takes time sitting together drafting and re-drafting a sketch until it is perfect. Sometimes a design on paper might not feel right when viewed on the stone, in which case we start right at the beginning again. 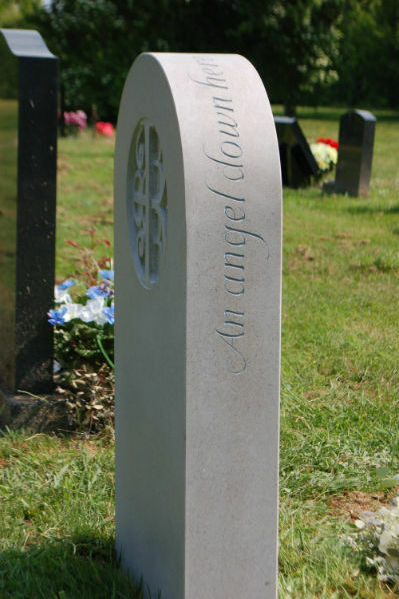 Only you can choose the headstone for your loved one. Try to avoid trends unless the wording speaks to you directly. For example, the current trend is to have "In loving memory" at the top of a stone, just as "Here lies" was once popular. If the wording doesn't add anything, it is best to leave it out. Do not allow others to influence your gut feeling and be guided by your heart. Take your time and if at first the wording you choose is not right, start again until it is perfect. This can often take months or even years! 7. You don't need to be too clever with the wording. Sometimes all that is needed is some really fine lettering with pleasing spacing and a fine piece of stone, and perhaps a simple carving. The letterforms themselves can help convey your message. A simple carving can be more powerful than lots of words. I always encourage you to choose your own epitaph but if you need inspiration I have compiled a list of epitaphs.